We are radiantly alive, living in presence, directly experiencing the unfolding present moment. Our life stories are interpretations of that. Believe them and suffering is just around the corner. Why is it So Hard to Stay Awake? It's so hard because you can't "stay awake." How can we free ourselves from the pattern of living so unconsciously? 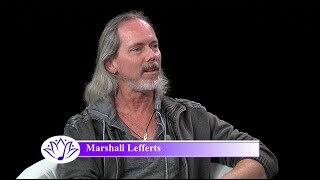 Bodhi and Marshall Lefferts discuss the Resonance Project; bridging science and awakening; the holographic nature of the universe and a model of unified physics—one of wholeness and interconnectivity. This meditation evolved from a meditation Eckhart Tolle once did with Simone and I. It carries all 3 of our transmissions and calms the most active minds. It complements and deepens any meditation. 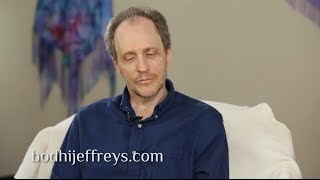 Bodhi and Marshall Lefferts (Resonance Project, Thrive, Cosmometry) talk about key aspects of choosing, and how awakening today is different than it was in the 1970's. Is it Intuition or a Thought? How do you tell the difference between intuition and thought? Are there signs? Chasing after happiness ensures suffering. How can we find freedom with or without happiness? It can be so easy to get triggered when engages in politics, or even just observing politics. What would awakening bring to the experience? In conscious parenting, children are treated with love, compassion and respect. But there will be moments where we don't rise to the occasion. Bodhi also has the greatest sense of humor and we laugh a lot during sessions! Bodhi is an endless energy field of inspiration, purpose, clarity, truth, authenticity, compassion, joy, love and inner peace. The way he embodies and shares his profound wisdom of awakening is powerful and grounded, while gentle, light and constantly evolving. Bodhi is not only a teacher in the best possible sense of the word but a healer and “wise man” who can support you in tackling any personal or professional challenges. One of his greatest talents is meeting you exactly where you’re at, and then gently guiding you from there. Bodhi also has the greatest sense of humor and we laugh a lot during sessions! Working with him is a precious adventure and it has a tremendous impact on the way I show up and experience my working and private life. What Bodhi does almost makes traditional coaching obsolete. I have used many coaches over the years, but Bodhi is one that I return to because he is simply in a class of his own. My experience has been that a lot of coaches can help you get to your goals faster, only to have you realize that those goals didn't actually fulfill you or give you what you thought they would. What Bodhi does, is help me heal and clear out those things that prevent me from going where I truly need and want to go, in the simplest possible way. What Bodhi does almost makes traditional coaching obsolete. Bodhi has been a guiding light for me, opening doors to my own hidden resources. Bodhi has been a guiding light for me, opening doors to my own hidden resources. I have found working with him to be a tremendously healing and awakening experience. I would unhesitatingly recommend Bodhi and his work to any friend in need. 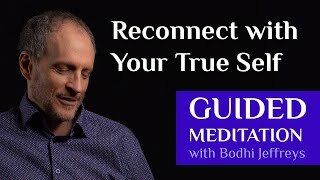 The truth is within us, but it is a joy and a great relief for me to have found a teacher who has been able to so quickly put me in touch with that inner truth and its liberating powers. It feels safe to let go of the identification with mind in his presence. Working with Bodhi has brought me into a profoundly deep awareness of my true nature. It feels safe to let go of the identification with mind in his presence. His coaching to live this in my daily life is gentle, clear, and very effective. I’m thankful for your clarity and presence and for how much peace it has brought into my life. Bodhi, I woke up flooded with gratitude for you today — your essence, your teaching, your energy, your sweet soft voice, your non-judgment. Your ability to have integrated that and not just teach it is inspiring to me. I’m thankful for your clarity and presence and for how much peace it has brought into my life. I’m thankful that the kids have learned the meaning of resistance and trigger. I’m thankful for the hundred times I’ve heard your voice saying “the truth and essence of who we are is love” and that I can hear that voice in my head louder than the childhood “you’re not good enough”. I’ve thankful for the healing you’ve guided me on. I’m thankful that you have shown me (and Matt) the path to our hearts. I’m thankful for all the moments of freedom and joy that are in my life because I am not in resistance. You have made a profound difference in my life. 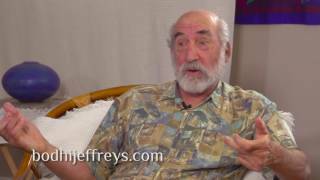 Bodhi Jeffreys has been exploring consciousness from an early age. Following a profound spiritual awakening, he has been guiding people through their own awakening process as a consciousness teacher, awakening and sacred living coach and conscious business mentor. 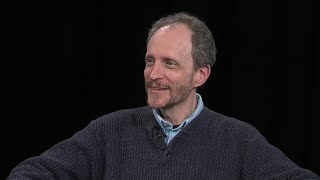 Bodhi has a Ph.D. in transpersonal psychology and served as a CEO for 20 years. He has also been a university faculty member, as well as a professional songwriter & musician. Copyright © 2019 Bodhi Jeffreys. All rights reserved. Web Design by Enovate.